February was a brutal month with the #Snowpocalypse taking place and now we are extra eager for spring and every sunshine-y day leading up to it. The first day of spring is March 20th. Let the countdown begin! What’s the latest in the gift shop? Our wonderful nursery manager, Lauren, has been hard at work completing the annual inventory count. She’s finally wrapped up, just in time for all of the new season decor and products to arrive! Take a look at what’s on display in the gift shop right now. We started our spring cleaning a little early and quite a few new items are discounted at 50% off! Click here. 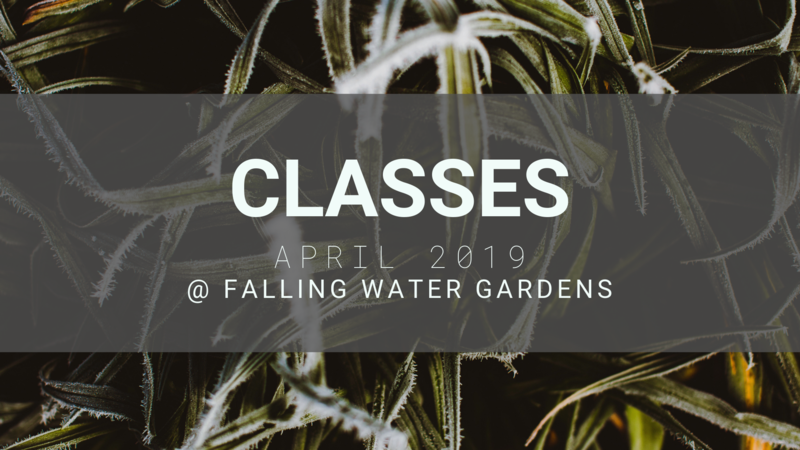 Falling Water Gardens hosts free classes on Sundays at 1pm during the spring & summer months. Classes cover a few different topics, from pond building to creating bubblers and maintaining water features. All classes are free. For more information and to view our calendar, please visit our classes page here. Did any proposals happen this past month during the #Snowpocalypse or for Valentine’s Day? Do you know of anyone still searching for their wedding venue? 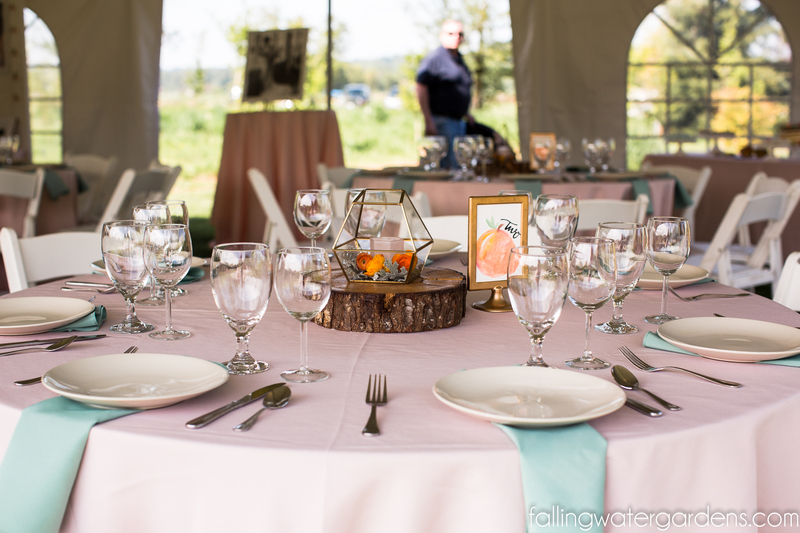 Falling Water Gardens is booking 2019 and 2020 weddings. Email us for more information.  Visit our wedding site to see gorgeous photos of our venue! Visit our Cool Plants section to see a selection of plants that look gorgeous this time of year. Visit the nursery and take home some plants to spruce up your entry way or garden. Take a look at the latest projects Falling Water Designs has been working on here. 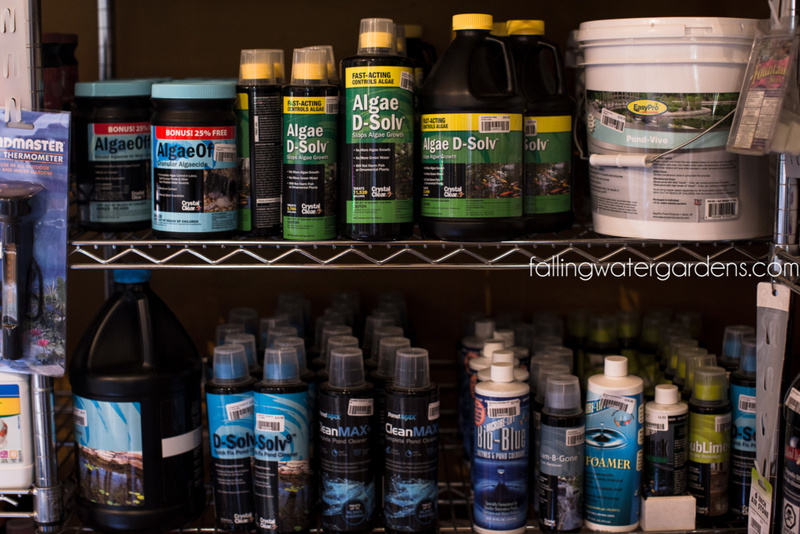 For this month’s How-To, we are sharing our list of MUST-HAVE items that will help get your pond in tip-top shape for the year. This is not something you see every day. 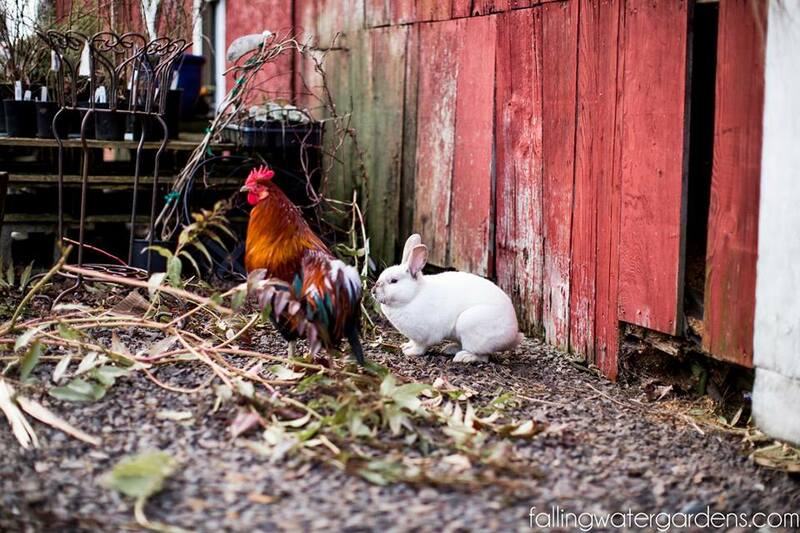 We love seeing our animals living harmoniously with each other. Too cute not to share! We’ve put together a Seasonal Information section on our website to help answer questions that are asked each season. The most important topic for the month is featured in the monthly newsletter. Please contact us if you have questions that our Seasonal Information page does not cover. 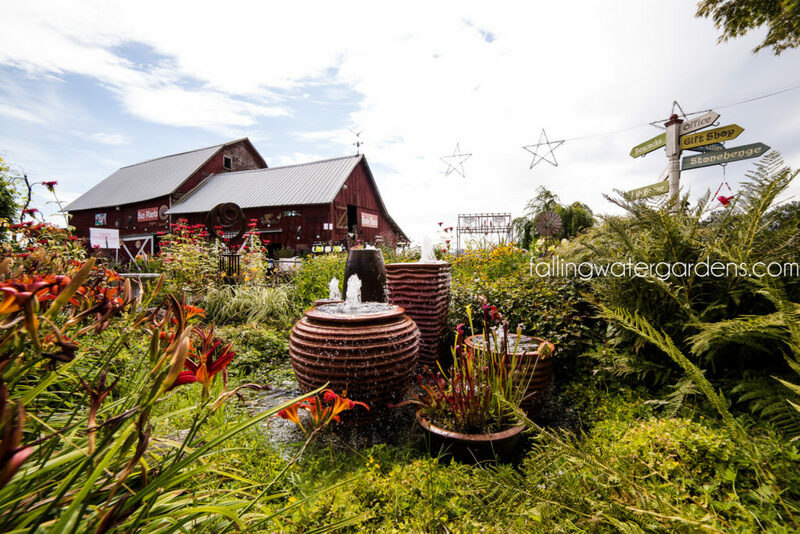 You may simply know us as Falling Water Gardens, the aquatic nursery and garden center with the big fountains and display gardens in Monroe, WA. 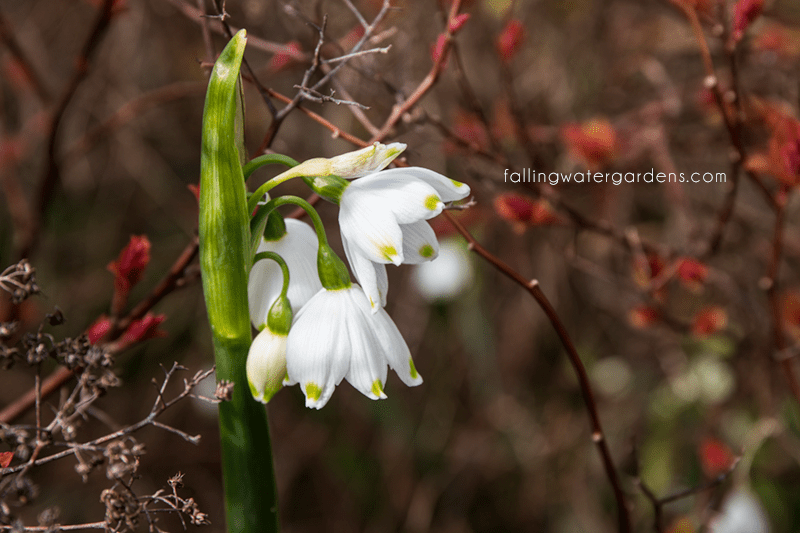 Did you know that the parent company, Falling Water Designs, has been designing and installing award-winning gardens and water features in the Puget Sound since the year 2000? It’s true! And we’ve been featured countless times in the media. We were also featured on HGTV’s show Landscaper’s Challenge, not once, but twice. We’ve won awards with the Washington Association of Landscape Professionals, The Northwest Flower and Garden Show, and the American Horticulture Society. We must be doing something right. Looking to have some work done in your garden? In need of pond cleaning, repair, or maintenance? 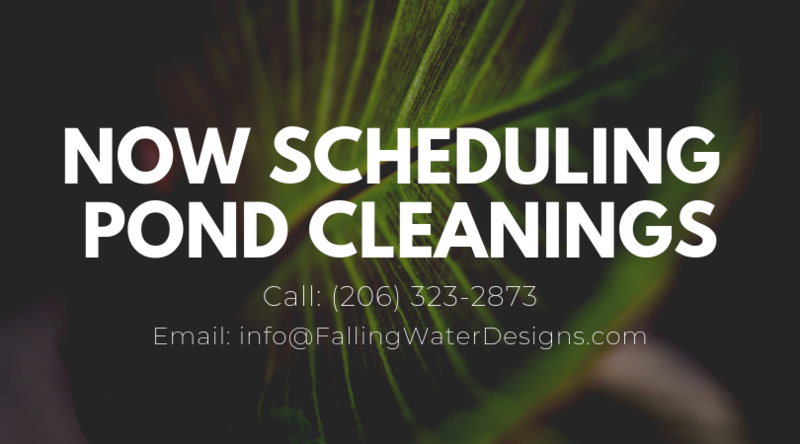 Contact us for more information and an estimate at (360) 863-1400 or email us at info@fallingwaterdesigns.com.